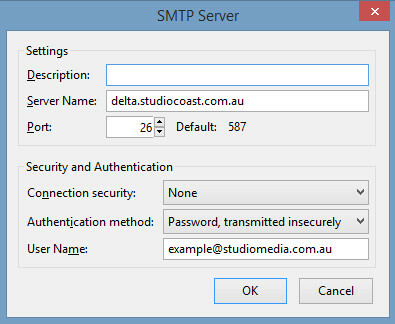 This is for changing an existing email account's SMTP server from your ISP to StudioCoast only. 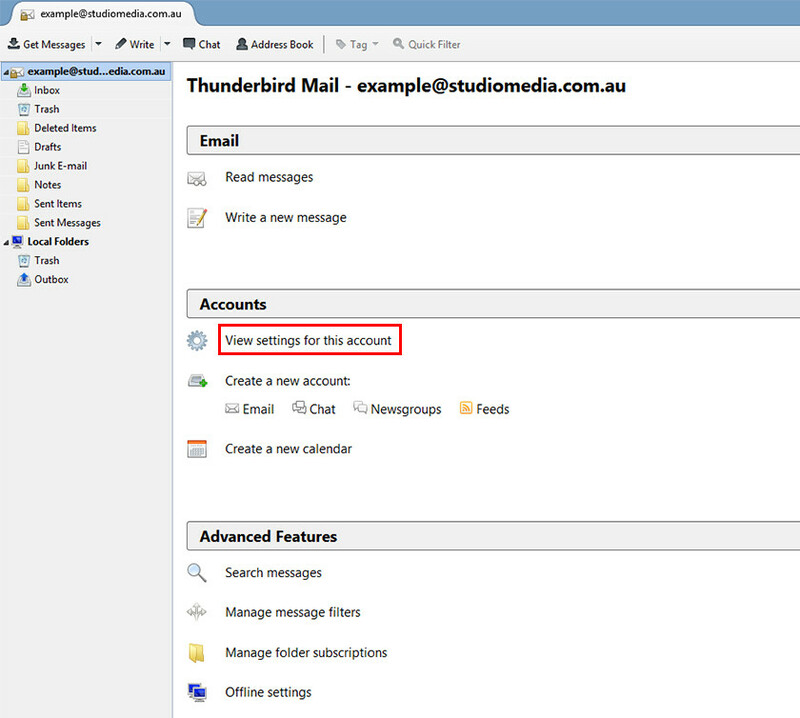 If you need to setup a new Email account with Mozilla Thunderbird please click here. A window will appear. 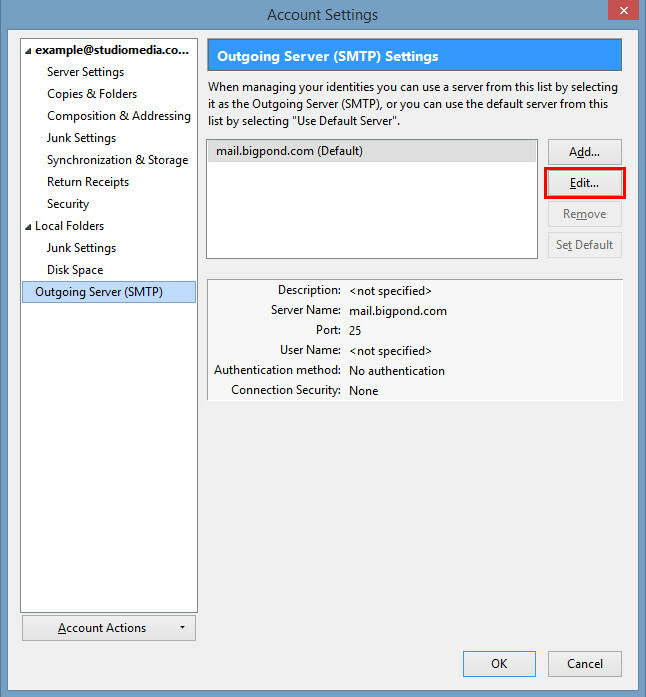 In the left side of the window, select 'Outgoing Server (SMTP)'. Select the SMTP server your email account is currently using from the list (which should be your ISP's) and select 'Edit'. (Note: If you have other email accounts using this outgoing server, select 'Add' instead). Next, replace the details with the following and then click 'OK'. Your outgoing server will be the same as your incoming mail server. if you are unsure select 'Server Settings' to view this in the previous step's window. Or refer to your Account Information by logging into hostControl. Connection Security: Either 'None' or 'STARTTLS'. 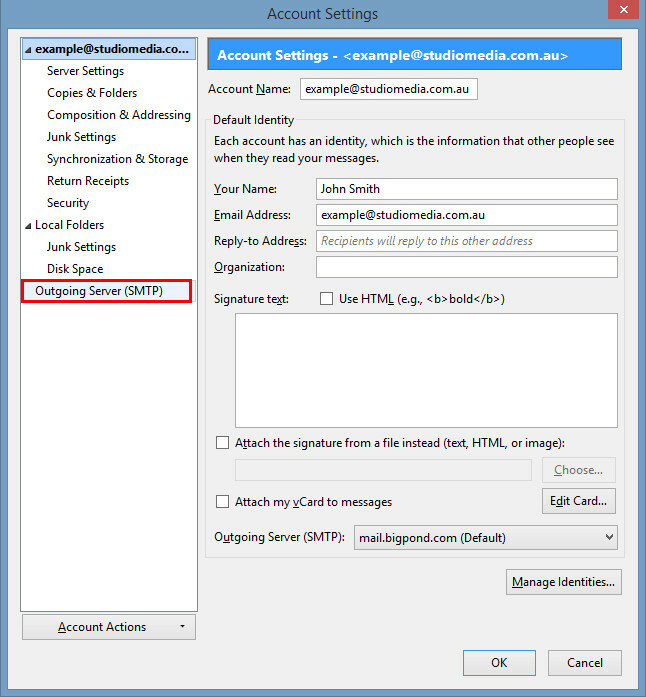 Press OK to leave the Account Settings window and you can now begin to send emails through our SMTP Server.